Pattaya attracts over 4 million annual visitors and not all of them visit for a weeks vacation, many stay for months at a time. 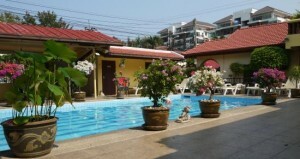 So we ask is it possible to stay in cheap hotels in Pattaya with swimming pools? 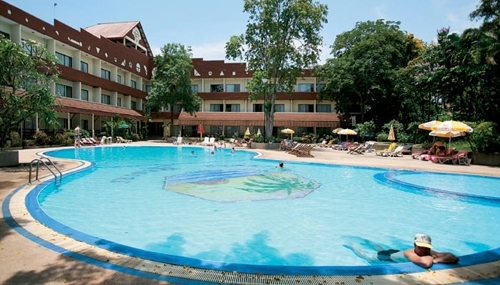 Like any tourist destination Pattaya has low, mid and high seasons and were not suggesting you can stay at a hotel with a pool in the middle of high season on a budget. But we believe if your willing to travel during the low season then you can find a cheap hotel with the luxury of a swimming pool. In fact during low season the abundance of empty rooms means hoteliers are fighting over each other to get your business, after all why leave a room empty if someone is willing to give you money for it. Your in a great bargaining position if you can offer the hotel the guarantee you’ll rent the room by the month. So when is low season? Low season in Pattaya is during the hotter summer months and runs from the end of March through to the end of September. The Pattaya garden hotel in Naklua (North Pattaya) is our favorite budget hotel with a swimming pool. We are not talking about a little dirty pool in the back, this hotel has a pool to make more expensive hotels weep. As well as a pool bar and lounging area. The hotels rooms are fairly large, clean and modern. The hotel also offers daily housekeeping. Although located in the north of the city, the resort is near the baht bus system which is the cheapest method of getting around. By booking early and staying for more than 7 nights guests get 25% of normal rates. 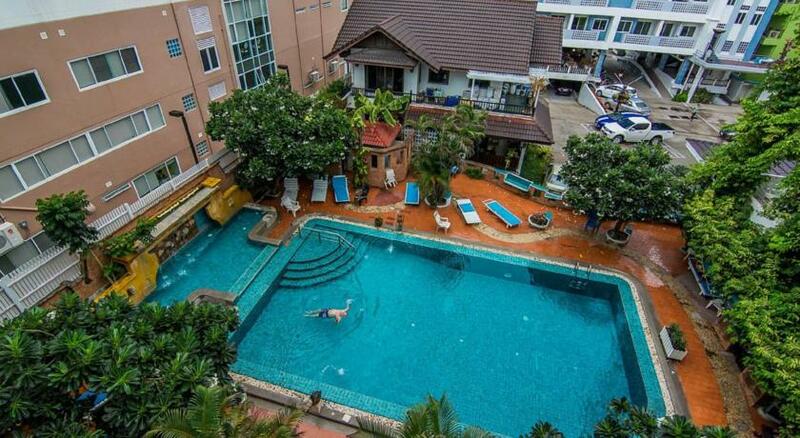 If your looking for a great location as a swimming pool from your cheap hotel, then Status court 5 Pattaya is the choice for you. Located on Soi Buakhao the hotel is great for nightlife lovers, shopaholics and those looking to be right in the mix. The rooms whilst not the most modern in decoration terms are of an adequate size for long stays, and are clean and comfortable. As well as a great pool the hotel has a great restaurant and bar showing live sports. The Baan hotel Norway is located on Thepprasit road in South Pattaya and is less than 2 km from Walking street and beach road. This quiet part of the city is a great location for chilling as well as exploring and is within easy reach of public transport. Baan Norway is actually a collection of 15 well appointed rooms surrounding a lovely pool and garden area. The rooms are clean, modern and comfortable. Booking early and for long stays gets you 30% of regular prices. 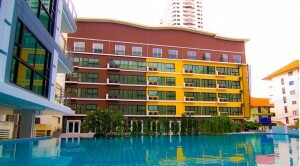 Approaching the top end of our budget for cheap hotels in Pattaya with swimming pools, is the Neo resort in Jomtien. 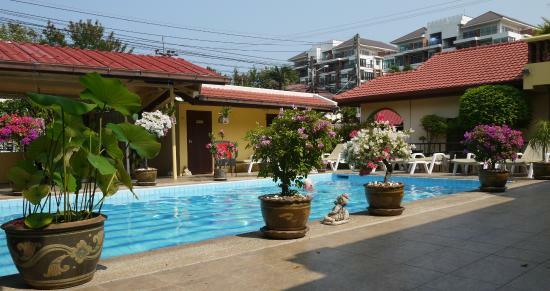 Located at the very beginning of Jomtien beach you can walk to everything this part of the city has to offer. Markets, restaurants, bars and the wonderful Jomtien beach are all a stroll away. The extra few dollars a night brings you a lot of extra value, and the rooms are fantastic, spacious, clean, modern and well appointed.